By the by, there are spoilers if you haven’t seen Mission: Impossible-Fallout. For that matter, there are spoilers if you’ve never seen the 007 films cited. Tom Cruise’s Ethan Hunt has returned in Mission: Impossible – Fallout while 007’s next film is scheduled for a 2019 release. Taking advantage of Bond’s absence in theaters, many reviewers said Hunt has taken the place of Bond and criticized 2015’s SPECTRE. 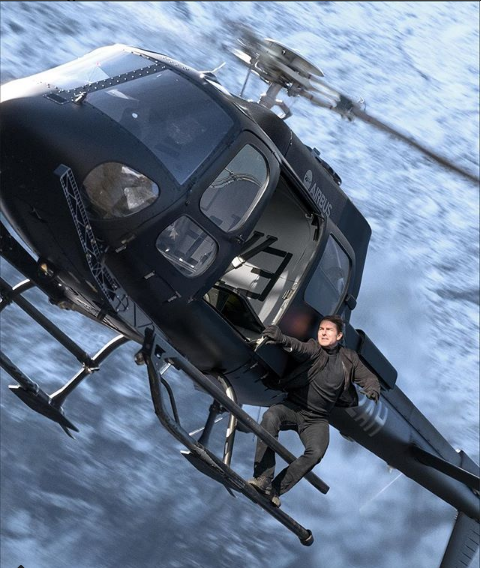 Mission: Impossible – Rogue Nation adapted Bond-like settings and scenes in the story. But Mission: Impossible – Fallout is even more Bond inspired. It has, the escapist tone of the days of Pierce Brosnan, just with a little more grit. Tom Cruise and director-screenwriter Christopher MacQuarrie redoubled their efforts and made a more spectacular film than its predecessors. 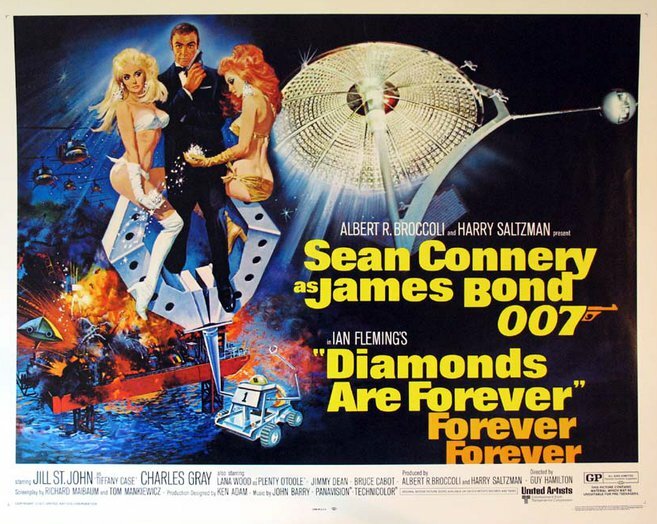 The last two M:I films are similar to how Thunderball and You Only Live Twice compared with the three first Eon 007 movies, Dr. No, From Russia With Love and Goldfinger. 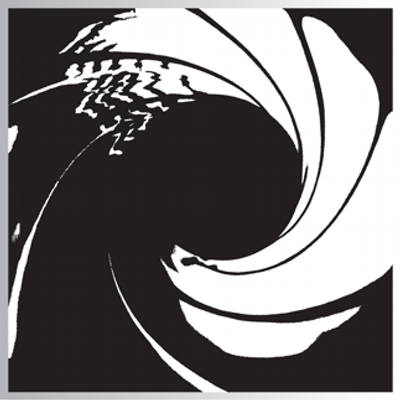 In M:I-Fallout, Hunt again faces off against Solomon Lane (Sean Harris), who — like Blofeld’s SPECTRE — is the author of his pain. Lane was the main antagonist of M:I – Rogue Nation. The film’s starts in Berlin, where Hunt and Benji (Simon Pegg) pose as buyers of three atomic warheads. Their cover is blown and Luther (Ving Rhames) is captured. Hunt makes a risky decision: to save his friend. That leaves the case with the plutonium unattended and stolen. This is similar to GoldenEye, where Alec Trevelyan (Sean Bean) asks Bond to choose between “the girl or the mission” while General Ourumov (Gottfried John) held Natalya (Izabella Scorupco) at gunpoint. Finally, Bond saved Natalya by gunning the Russian general down. It’s also similar to Skyfall. M orders Moneypenny (Naomie Harris) to shoot Patrice (who stole a hard drive with data of infiltrated agents). Hunt makes a “judgment call” by shooting Luther to distract the man holding him at gunpoint and save his life. 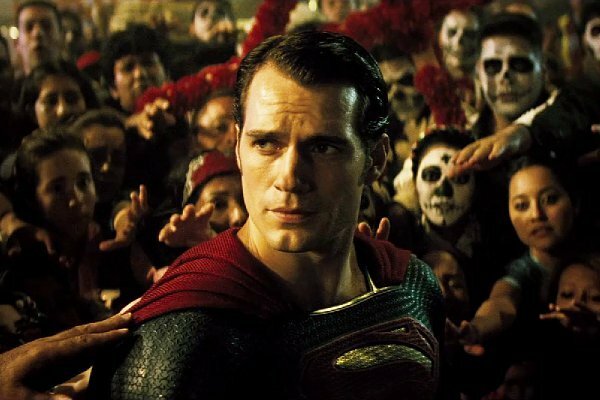 The “fallout” of M’s and Hunt’s action determines the principal threat of both films. Also in the Berlin scene. we have another familiar Bond meme: a remote controlled car, a function available in the cars driven by Pierce Brosnan in Tomorrow Never Dies, The World Is Not Enough and Die Another Day. Coming next a HALO jump as featured in Tomorrow Never Dies. 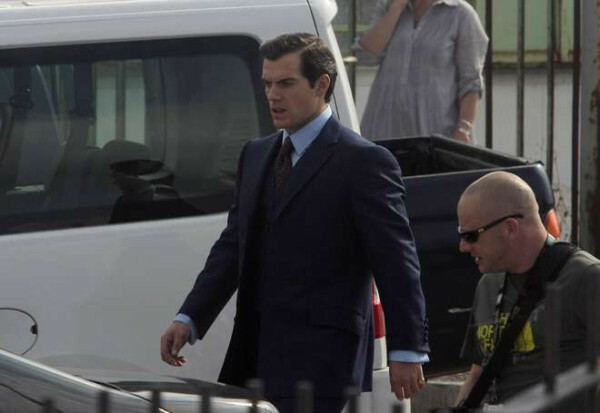 Although this time, it’s a much riskier scene when Hunt and his teammate August Walker (Henry Cavill) face a storm during the operation and Walker is hit by lightning, losing consciousness. In a similar situation to Moonraker and Quantum of Solace, Hunt has to do a little skydiving to reach Walker, reconnect his oxygen and deploy Walker’s parachute, as well as his own. 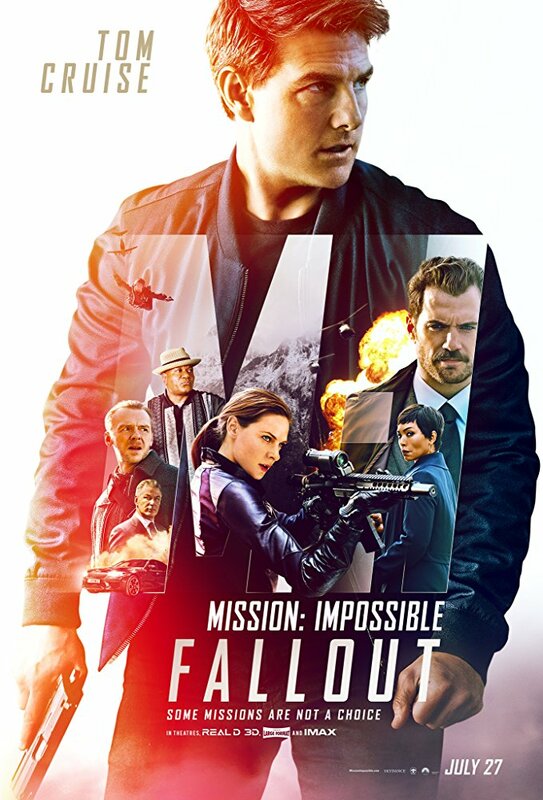 Ilsa Faust (Rebecca Ferguson, from Mission: Impossible – Rogue Nation) returns and saves Hunt’s life after a cruel bathroom fight with one John Lark, the man he had to impersonate, warning him not to complete his mission of meeting the “White Widow” (Vanessa Kirby) to exchange the missing plutonium. 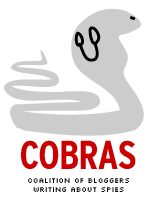 They walk across a mirrored and red-lighted room that reminds us to Die Another Day’s Álvarez Clinic in Cuba. Ilsa tells him that he’ll be a dead man if he meets the woman because Lark has a contract on him. It’s known he’s meeting the White Widow that night, so they’ll kill him on sight. In a similar context in which Bond met Severine in Skyfall, both heroes manage to beat all the assailants and escape alive. In exchange of the plutonium spheres, the White Widow and her accomplices want Solomon Lane, who’s been transferred to a prison to another in France. Hunt forgoes the originally conceived plan (which dealt with killing every witness) and pushes the prison van into the Seine, having Luther and Benji extract Lane trough the water, the same method in which Franz Sánchez escaped in 1989’s Licence to Kill. The breakout of Lane pits the French police against Hunt and a chase ensues through the streets of Paris, on motorbike and then on a small BMW, as he is chased by Ilsa who has been given orders from MI6 to terminate Lane. Not only there’s a particular shot as the BMW makes a backwards spin above some steps which is very reminiscent to A View to A Kill, where Bond (Roger Moore) chased a parachuting May Day (Grace Jones) in a Renault 14, but we have Ilsa trying to do the job of any 00 agent: terminate someone who is a threat for national security. Hunt and his team –- and the captive Lane — reunite with IMF Secretary Alan Hunley (Alec Baldwin) in a safe house, much as Bond did at the beginning of Quantum of Solace with Mr. White (Jesper Christensen) in Siena. Stunt teased by Tom Cruise on Instagram earlier this year. Walker is revealed as a mole and a shootout ensues, breaking Lane free again. As a result of this confrontation, Hunley is badly hurt by Walker and dies showing his trust to Hunt, much like M at the end of Skyfall. Just like in the 23rd Bond movie, in pursuit of Walker, Hunt also holds from a scaffold in the bottom of the elevator his enemy is taking, as Bond did in Shanghai when chasing Patrice. The film’s climax takes place in Kashmir, where Lane and Walker attempt to detonate a nuclear bomb using the plutonium spheres that have fallen into their hands. Ilsa and Benji fight Lane, Hunt goes for Walker. A long helicopter chase ensues and that includes a few references to SPECTRE’s helicopter fight in Mexico, with Bond fighting Marco Sciarra and the pilot, pushing them away and taking control of the vehicle. Just like Blofeld at the end of the same film, Hunt and Walker both survive the helicopter crash. This takes us to the final showdown between Hunt and Walker atop the cliff of a mountain, as the remains of the one of the helicopter’s cockpit hang loosely of a wire. A shot of ice caps falling close to both men looks greatly inspired by Die Another Day, in the scene where a clinging Bond faced the power of the Icarus satellite beam in Iceland. While this scene overall may be reminiscent of the confrontation between Hunt and rogue IMF agent Sean Ambrose (Dougray Scott) in Mission: Impossible II, but there are some links to the antenna fight between 007 and Trevelyan in GoldenEye. In the beginning of 1995 film, Trevelyan gets half of his face burned by a chemical explosion in Arkhangelsk. In a similar way, Walker gets an acid fluid from the helicopter straight into his face, leaving him badly scarred side. At the end of GoldenEye, Bond and his former friend fight in a small platform at high altitude as both attempt to make each other fall to the vacuum. Finally, Bond lets Trevelyan fall and the villain, agonizing, is finally terminated when the whole antenna structure crushes him. In Walker’s case, as he’s about to get Hunt, the IMF agent forces the wire over him and the hook gets impaled into his face, making him fall to his death. 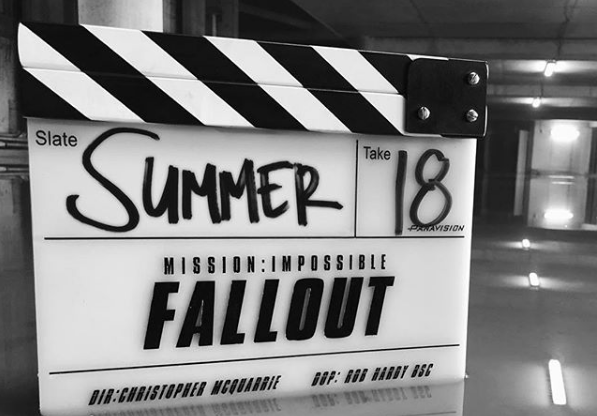 Mission: Impossible – Fallout is, of all the M:I movies, the closest to a James Bond film. While some people may feel offended for the way they ripped the Bond archive in more than a way this time, I’ll recognize the great taste Mr. Cruise has and the respect he had for 007’s legacy during his interviews promoting the movie.